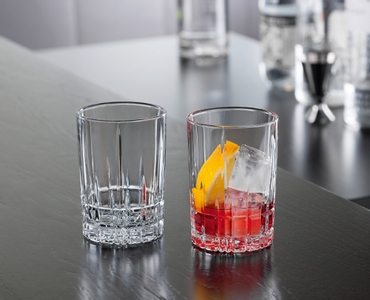 The sturdy machine-made longdrink glass of the cut decor glass collection Perfect Serve developed in cooperation with internationally awarded bar-expert Stephan Hinz. The glass with its modern design provides the finishing touch for your drink. Standing up to the tough requirements of the gastronomic world, the Perfect Serve Collection fulfils the requirements of discerning mixologists and caterers. All SPIEGELAU glasses are dishwasher safe.